Getting the right gear for your golf game is of utmost importance so we have put together the ultimate review and recommendation resource to make sure you get it right from the word go. Whether you’re just getting started or are a seasoned pro, you can search through our reviews to find something perfect for you. 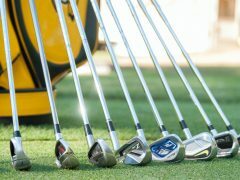 If there is one piece of golf gear that is absolutely essential to a good game, it’s the right golf clubs. 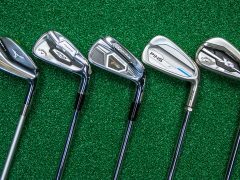 With so many woods, drivers, hybrids, wedges, putters, and irons to choose from, the options can quickly become overwhelming, and you wouldn’t want to get caught out listening to a smooth-talking salesperson in spiffy golf apparel. Refer instead to our fantastic range of golf club reviews. 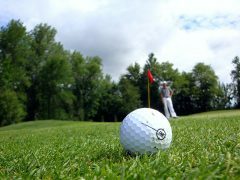 Your golf clubs are useless without another essential piece of golf gear – the right golf balls for the job. When considering which golf balls to buy, there are several questions you need to ask yourself first: urethane or ionomer, soft or firm, tee or green, budget or premium? Your head is most likely already spinning considering the options, so refer instead to our reviews. It simply must be said – there is no point in being kitted out in the best golf clothing and gear if you’re getting lost on the golf course! 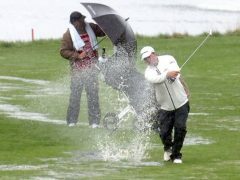 As such, golf gadgets, GPS, and rangefinders are must have items for the serious golfer. 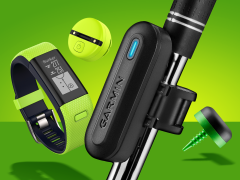 When deciding on which golf gadgets are right for the job, you should consider your routine, your course, the need for added extras such as stat tracking abilities, and how much battery power is required. 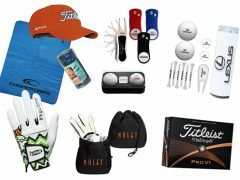 Once you have the right golf gear, it will be time to find the right golf accessories and golf clothing. We review everything from grips to gloves, tees to towels, sunglasses and spikes, and you’ll never be without if you refer to our reviews and recommendations. We’ve probably got a review of something you didn’t even know you needed yet! 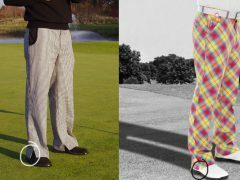 Golf shoes and golf apparel is evolving quickly and there are many options for those who want to be stylish and comfortable both on and off the green. 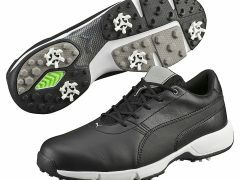 From spikeless to no laces, and styles inspired by running shoes, the right golf shoes are of vital importance when you consider how many hours you’re going to be on your feet. Golf trolley design has come a long way in the last few years and there are plenty of options for manual push trolleys and their electric counterparts. 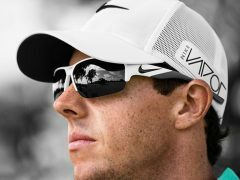 Lightweight batteries, more streamlined frames, and new screen designs are just some of the improvements you’ll find with this type of golf gear. Not only is it essential that you’re kitted out with the best golf clothing, gear, and accessories, but you also need to have the right bag to cart your golf clubs around on the course. Whether you’re looking for a trolley bag, stand bag, or lightweight pencil bag, we have the reviews and recommendations you need to make the right decision. Last, but certainly not least, we have reviews of golf clothing and golf apparel to make sure you’re comfortable, stylish, and weather-appropriate for the green. Whether you’re looking for the best shorts and t-shirts for summer or the best waterproofs for winter, our reviews will have you kitted out like a pro in no time at all.